Picking a rental management company to care for your vacation rental is a big step. This owners FAQ page is designed to answer the most common questions asked by new owners. If the specific question you were looking to get answered isn't listed please don't hesitate to call our dedicated homeowners department. Thank You! What services will you provide for my vacation rental property? Our management services include the marketing and promotion of your vacation rental unit by our sales and marketing team, reservation services from our trained and motivated reservation staff, 24-hour front desk services, 7 days a week housekeeping and maintenance services, and monthly accounting of rental income and related expenses. Are there any special advantages for owners? Owners on our rental management program receive an "Owner's Edge" privilege card to use while they in residence at their unit which allows them to enjoy the many benefits of being part of The Litchfield Company Vacation Rental family. This includes access to the Health Club/Fitness Center featuring a sauna, steam room, indoor heated pool, hot tub, and cardio room with full service locker room facilities. Complimentary DVD rentals and discounts at Coastal Dish Restaurant, Coastal Scoops Ice Cream and The Deck tiki bar are also owner privileges. With the understanding that each property is unique, we have multiple management agreements designed for the specific property. Our fees are lower or competitive with other area management companies. What are the up-front fees? We provide linens and standardized electronic front door locks for every owner's unit. Owners will be charged for linens when they join the rental program, and an annual linen replacement fee. Also, an installation and programming fee will be charged for the "Saflok" system. If your unit is not equipped with a resort compatible telephone line, one will be installed for a nominal fee. Our team of trained maintenance technicians responds to a variety of guest and owner services calls seven days a week. Maintenance calls are billed at $40.00 per hour. Services that require less than 20 minutes (such as replacing a light bulb) are complimentary. Specific information on any costs exceeding $200.00 will be provided by our Owner Services team. How long is the rental contract term? The initial contract term is for two years, with automatic renewals on an annual basis. The agreement may be terminated with a minimum 30-day notice. 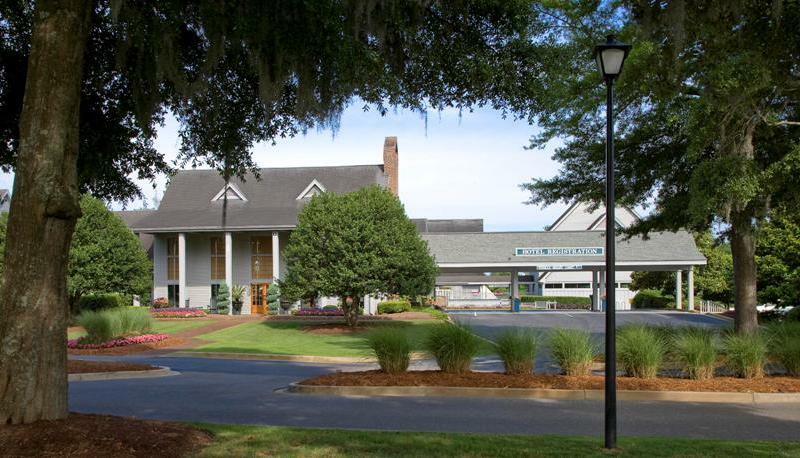 Owners are required by South Carolina State Law to honor existing guest reservations for a period of not less than 90 days after termination of the management agreement if existing reservations cannot be relocated to other accommodations. What is your accounting cycle? How do I get paid for my rentals? Each month, every owner is provided with an accounting of income and expenses. Statements are available on your personal Owner Portal on our website, www.litchfieldbeach.com, 10 days after the end of the month. We recommend a direct deposit for quickest access to your rental proceeds. How do you promote and advertise my rental? We lead the way in reaching prospective guests looking for rental opportunities in the Litchfield areas. Renting over 90,000 room nights per year, our website ranks near the top for most search terms used by those looking for vacation rentals in the area. We utilize a mobile optimized booking engine, and employ an aggressive email marketing campaign reaching over 3.5 million subscribers each year. We work with the leading third-party booking channels in the world - Priceline, Expedia, Travelocity, Air BNB, VRBO, and others - and we maintain an aggressive social media campaign with over 21,000 Facebook "Likes". What are the fees for me and my family when we visit? There are no rental fees when you use your property. This applies to you, the owner, as well as, your children, brothers, sisters, parents, grandparents or grandchildren. As an owner, you will receive 14 complimentary departure cleanings per year. A modest cleaning fee, based on the unit size, is applicable beyond the 14 complimentary services. What about my friends or other guests? Occupancy by a friend, or any guest who is not part of your immediate family as listed above, is subject to a departure cleaning fee. As an owner, you are able to offer your guests an additional 15% off of our lowest advertised rates or other agreed upon rate. The Litchfield Company does not allow owners to rent their property for a fee in lieu of our services. Your quests are also able to enjoy all the guest benefits offered by The Litchfield Company. Cleaning fees are based on the number of bedrooms and size of the home. How do you establish nightly rates and other rental policies? Our Revenue Management team closely monitors market trends, and sets rates accordingly. Our Yield Management Techniques seek to maximize rental revenue based on demand. Initial rates are based on number of bedrooms and bathrooms, size, location, and views of the home. We also establish minimum-length-of-stay and deposit/cancellation policies. Our rates are managed weekly based on market trends, pace to prior year, pace to budget, advance over prior week, and other market conditions to ensure you are receiving the highest rate achievable for each reservation. Will my rental be included in any special promotion programs? We may offer special packages for your property to achieve more revenue. Examples include promotions such as: one free night on a multi-night stay, golf packages, spa packages, beach retreat packages, etc. We may also use up to four nights per year on a complimentary basis for promotional purposes. These nights are used when the property would otherwise be vacant. What special privileges will my rental guests receive over those of other management companies? Only by being on The Litchfield Company Rental Management Program will you and guests receive complimentary access to the Health Club/fitness center which features sauna, steam room, indoor heated pool, hot tub, cardio room with full services locker room facilities, racquetball, and basketball courts, you also receive DVD rentals, seasonal beach shuttle service, discounts at Coastal Dish restaurant, Coastal Scoops Ice Cream and The Deck tiki bar, as well as hands on care by our property management professionals.